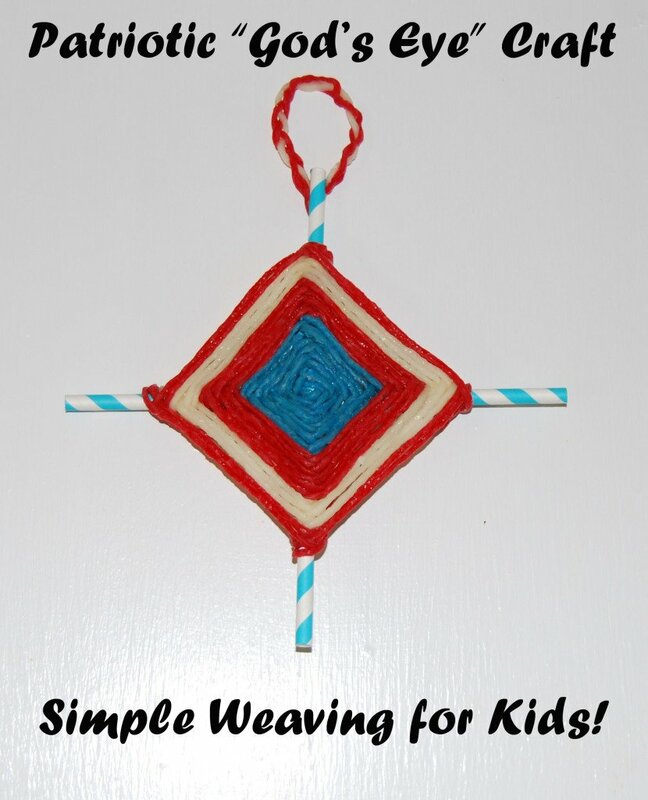 Wikki Stix Patriotic Ojo de Dios (God’s Eye) Craft for Kids! History of the Ojo de Dios (pronounced “oh-ho-day-dee-ohs”): The Ojos de Dios (commonly known as the God’s Eye) were originally crafted by the Huichol Indians in the Sierra Madre Mountains of Mexico. The God’s eyes were created from two crossed sticks with fibers woven around the center and outward. The 4 stick points symbolized: earth, air, fire, and water. According to tradition, a father would make the craft upon the birth of a child. For each year of life (up to age 5), the father would weave a new “eye” or section of the craft. The craft represented a special prayer that “God’s Eye” would watch over the child and bring health, wealth, and a long life. As a symbol of Patriotism, the Ojo de Dios craft is a wonderful way to represent God’s watchful eye over our great Nation! 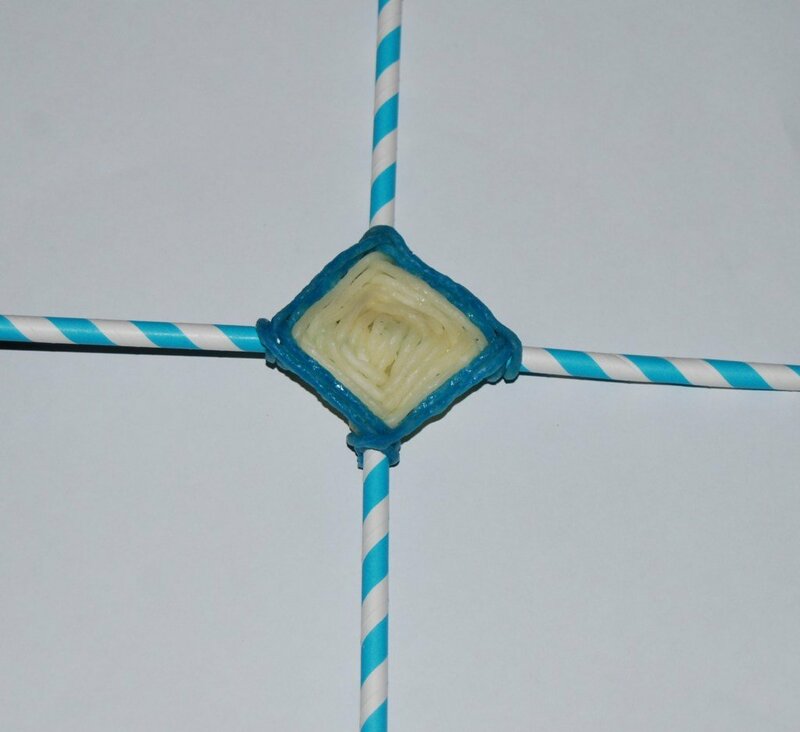 Wikki Stix is the perfect weaving material for the Ojo de Dios! The Wikki Stix will adhere to the sticks making glue unnecessary while simplifying the weaving process for kids! 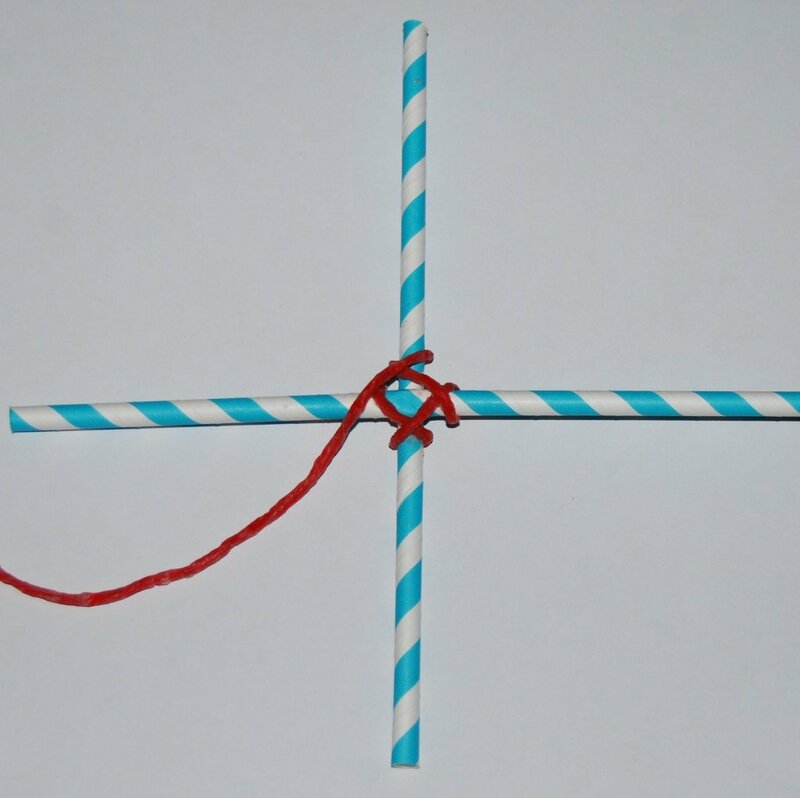 Materials needed: two sticks (paper or plastic straws, real sticks, or craft sticks) and assorted Wikki Stix. Choose two sticks and make an intersection that forms a cross (+). 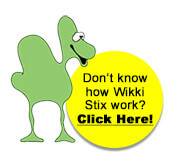 Begin securing the sticks by wrapping the Wikki Stix around the intersection. Secure the end of a Wikki Stix behind any one stick (straw). Wrap from underneath and over that stick toward the next stick. The wrapping pattern is over, underneath, and over to the next stick. Remind the children to wrap tightly around all 4 sticks. Children may need assistance in beginning the craft and learning the basic wrapping pattern. The same weaving pattern remains throughout the craft. Once the children understand the pattern, it will be easy for them to complete the craft. (see video below for assistance). Super Wikki Stix work better for this craft than regular Wikki Stix, but regular ones can be used (see video below). To create a new “eye” for the craft, just have the children stop at the end of one color and begin again with a new color of Wikki Stix. When finished wrapping, simply press the end of the Wikki Stix behind the craft. The Wikki Stix will adhere to each other so there is no need to “knot” the Wikki Stix end. The Wikki Stix Ojo de Dios crafts make great displays at home or in the classroom for Patriotic holidays (or any holiday). If you reside outside of the United States, choose colors that will represent your own nation for special events or holidays. If you know of someone who has recently had a baby, the craft is a wonderful gift that children can give! May “God’s Eye” watch over our nations and our children for peace and prosperity!